Last Sunday, as I sandwiched a quilt together and filled it full of safety pins to await machine quilting, I lamented coming to the bottom of my pin box, as it meant I would not have enough pins left to organize the quilt layout on one of my other projects. Normally as I lay a quilt out on the living room floor, I stack my rows of blocks together and pin each stack in the corner, so I don't get things mixed up or twisted around in transport up to my sewing room. I even have a little "code" that lets me know which row I am looking at ... just in case. Today, while rummaging around for "hardware" to work on a messenger bag for the Munchkin to take to preschool, I came across a box marked "quilting supplies" - a box that moved with us from South Carolina about 10 years ago and kind of got stuck in a box and then into a corner and then into a closet and forgotten, as new supplies and new methods of organization came along. In that box was... a HUGE supply of safety pins!! Large ones, small ones, quilters pins, regular pins - AND some heavy duty machine needles that will come in handy sewing the denim of the Messenger Bag. 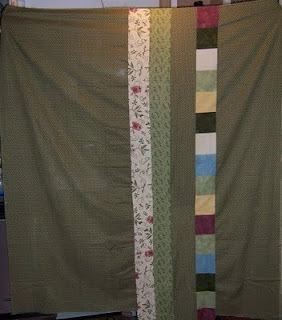 The "Bricks and Stepping Stones" quilt layout is now complete and pinned and awaiting assembly. Wow - it's been a while since I have done one of these. I do have a small pile of turtle stuff to be photographed that I had buried here and there - but before I do those I want to introduce you to the new turtle in my life - Shimmy Shake. 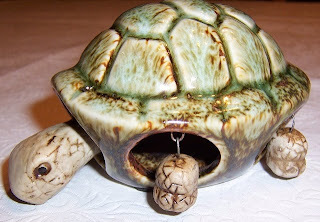 He's ceramic - a bit smaller than my fist, and his legs, head and tail all hang from little loops built into the shell so that they wiggle and shimmy and shake whenever he is moved. He rode to my house cocooned in this box of turtle fabric - what could be more fitting! 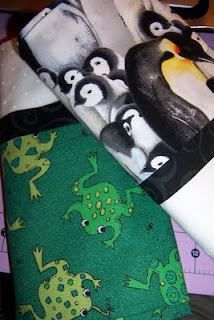 This fabric (In the Beginning's Lily Pond plus one extra filler from Moda) will turn into a baby quilt for my turtle loving neighbor's 2nd child. Her older son (now 2) got one of my first ever turtle quilts - but I have a feeling as long as we are neighbors there will be more turtle quilts - baby and adult - in our futures! Since I am delivering 2 of these pillowcases tomorrow - I thought I would give a sneak peak - and let you see the other 2 as well since you really can't see the focus fabric so it won't give too much away. And the big project I have been working on is one giant step closer to completion. I put the triple borders on the pinwheel and really like how it makes the center pop even more. The middle border is made from leftover charms from the charm packs I used to make the pinwheels, and the inner and outer borders are fabrics from that line as well - I was sure to pull them out of the middle border so there would be more contrast, but that's hard to tell in this photo. The layers are now all pinned with a layer of flannel in the middle and once I pick up some thread tomorrow the machine quilting can begin - diagonal all the way - including the borders. And the quilt now has a name .... "On Pinwheels and Kneedles" - it's a gift for Hubby's mother as she undergoes knee replacement next month. I just braved the attic for the first time in about a week to work on some projects - it was bearable with the fan, for a while, but once I did a bunch of ironing and getting up and down from the sewing table, I was pretty much fried. I did finish 4 pillowcases -can't share pictures because they are all for gifts and I don't want to ruin any surprises. 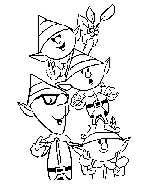 One more reason Santa put his workshop at the North Pole!!! Of course being short with an over 6 foot tall brother - this also entailed learning at a young age how to hem a bit here, take a tuck there, and generally make clothes fit the way I wanted them to. So when I found a few pairs of pants early this spring on a clearance rack for $1.99 each that fit nicely in the hips but were either too long in length or a bit wide in the waist, I did not hesitate a bit in snatching them up - knowing I could make them comfy with just a few stitches here and there. Of course then procrastination and distraction set in - and it was not until we hit a few days of very very hot weather and I was looking for some hand-sewing to do that I remembered the bag of alterations that needed to be done. And just my luck -two pairs of the pants were for summer - oh well, now I will have them for next year. Another to-do off my list. Now to find some more projects - it's hot again today. Pioneer Woman likes my Hubby!!! As you might have figured out by now... I am spoiled with a Hubby who loves to cook! We've been sharing cooking stories at Any Ideas for Dinner for a while now, and when Pioneer Woman started her new cooking site Tasty Kitchen, Hubby was one of the first to sign up, and began to share his recipes with others. 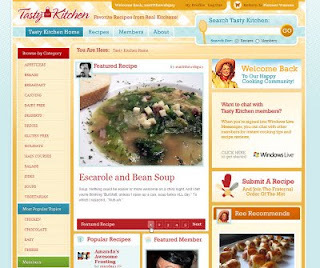 His first recipe post, Escarole and Bean Soup, was picked by Ree (aka Pioneer Woman) to be a feature recipe on the main page of the site -plus got a nice comment from her. And even though it is like 89 degrees and super humid out right now - I could go for a big bowl of this - it is THAT good! Thanks Ree - he's a keeper!!! I ended up cutting the Layer Cake in quarters to make 4 more sets of 5" squares. To make the pinwheels, I divided four of the stacks into lights and darks, and then made two pairs each of a light and dark. 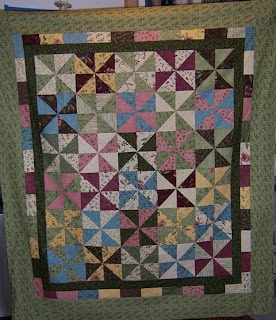 I stitched those into half square triangle and then into pinwheel blocks. This did not quite use up all 4 charm packs - there are a few pieces left. My plan is to add an inner border, then a pieced border of 2 1/2" x 5" rectangles cut from the remaining charm packs, then a wide outer border. It should finish as a generous lap quilt size. 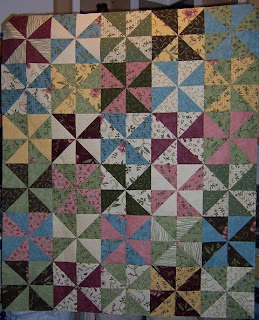 If I had it all to do again, I think I would do random spokes on each pinwheel and have it overall scrappier looking than this - and scatter the colors more widely that way. But I am happy with how this is looking, and can't wait to see how the triple border pulls it all together. Oh - and I made my first Baby Honu the other night. More to come on that. 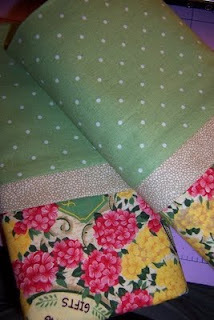 Sorry - I have been slacking on both the gardening and quilting updates. We are keeping busy on both fronts -the cool weather has extended some harvests, and delayed others, and made sewing in the attic much more comfortable than normal for this season. The cucumber pyramid - peas climbing up 2 sides and pretty much finished for the season, cucumbers just starting to climb on the corners (slowed by cool weather) and lettuce still producing in the middle (slowed, too). The peppers line each side - and a renegade tomato on the lawn on the side, self seeded from last years fallen fruit. 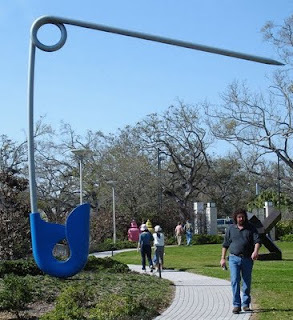 Two of the six hanging bags. The only caveat is that I have to be sure they stay well watered -they tend to dry out quickly, even with all the rain we have had. The greens look pretty yellowed, but the fruits are still growing and some blossoms keep opening. Our first harvest - two tomatoes and basil from the herb garden. YUMMY!!! 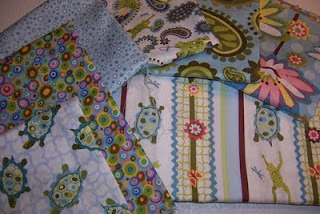 Check out my quilting buddy Shellie's new blog -Shell Creations. She's just getting started with blogging, but is off to a good start. 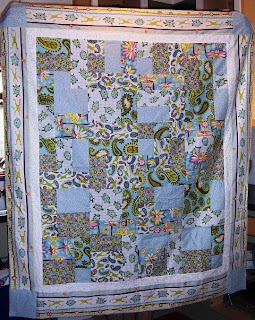 She's done some gorgeous work - hopefully she will post some of her older quilt photos on here, soon, in addition to her new adventures.